Learn how to solder, forge, shape and set cabochon stones in sterling silver. Classes are geared towards a students skill level. 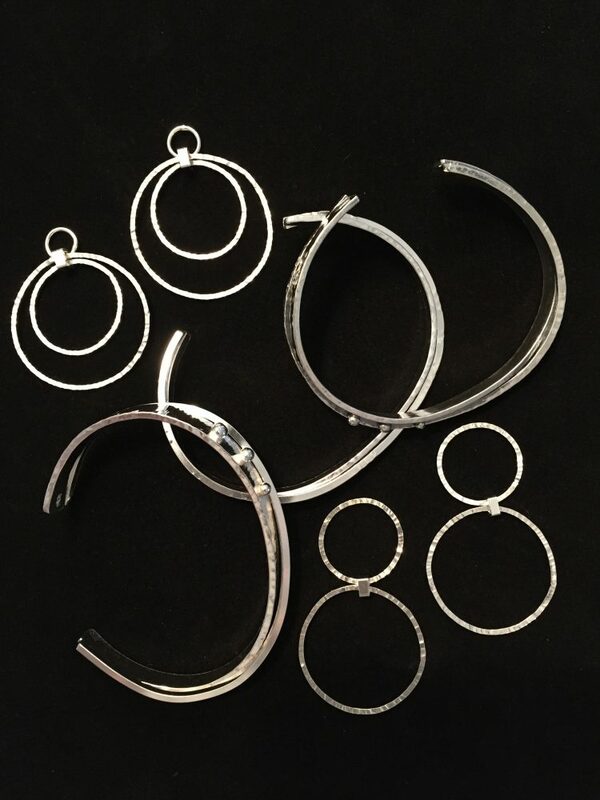 Beginning students start out with hoop earrings, then a band or spinner ring and after they get comfortable with a torch, you will learn to make a bezel to set a cabochon stone in a pendant or ring. There is an additional materials fee depending on how much silver you use. To sign up email lindalewisjewelry@gmail.com.